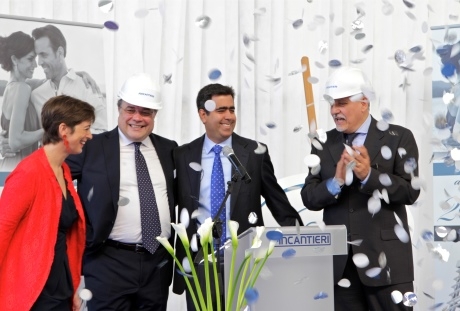 On 15 July 2014, the steel cutting began for the construction of the brand new luxury cruise ship for Regent Seven Seas Cruises - Seven Seas Explorer. After the cork was popped on a bottle of Krug Grande Cuvée magnum champagne, a laser started the precision cutting of the first piece of steel, which will eventually become the owners suite, whilst confetti cascaded down over the Fincantieri shipyard in Genoa, Italy. 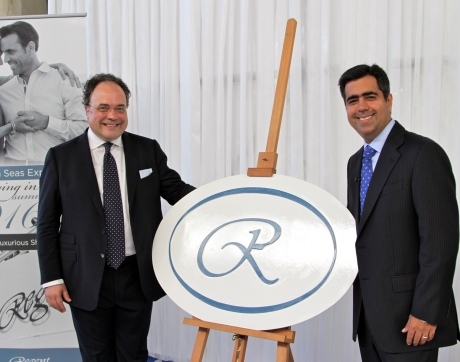 Kunal S. Kamlani, president of Regent Seven Seas Cruises, said "We're one step closer to fulfilling our dream of building the most luxurious ship in the world and giving our guests another exciting option to explore inspired global destinations with our special brand of all-inclusive luxury. Seven Seas Explorer will surpass the current standard in luxury cruising, offering a new level of grandeur throughout the ship from its lavish suites to its elegant public spaces and gourmet restaurants." At 54,000 gross-registered tons and carrying only 750 guests, Seven Seas Explorer will boast the highest space ratios and staff-to-guest ratios in the cruise industry and further strengthen Regent Seven Seas Cruises' widely recognized position as the most inclusive luxury cruise line. Seven Seas Explorer will join the rest of the award-winning Regent Seven Seas Cruises fleet in the summer of 2016. Regent Seven Seas Cruises will begin taking reservations for the maiden voyage and inaugural season for Seven Seas Explorer in early 2015. For more information about Regent Seven Seas Cruises or to receive a brochure, guests can contact The Luxury Cruise Company on 020 7838 5991 to pre-register.